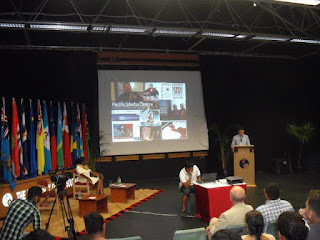 The World Press Freedom Day was a two-day event at the University of the South Pacific and it was also the first time USP Journalism students had taken the initiative to do something for May the third. Suva based lawyer Mr. RichardNaidu who was the chief guest for World Press Freedom Day said “giving a dissident a platform – and a voice – is perhaps the best demonstration of the Association’s commitment to media freedom” referring to the fact that he was not so much liked by the Fiji Government. Censorship has been lifted from newsrooms, but it seems that most journalists have taken self-censorship to another new level. This is perhaps due to the New Media Decree 2010. Rachna Lal a well-known journalist, and a panel member had discussed about hefty fines and possible imprisonment. Journalists are now weighing the options of public interest against their personal safety. A former journalism student Dawn Gibson who had worked for a little time in the media mainstream mentioned that working in the mainstream was like being a ‘mouth piece’ for the Government. Copying and pasting from press releases. This was what Mr. Naidu was talking about. Unaisi Moce a returning journalism student was asked if she would report on anything that would out the government in a bad light. She replied, “it depends if I have the right sources, and I will try to balance my story and accuracy is a strong factor. I will still do my research on it, and let the editor decide whether they want to publish my story or not”. The theme for the Media Freedom was how media can transform societies. Mr. Naidu had pointed out that there really was no point talking about how transformational media can be unless we return to a free press. The main priority is to look towards a free press. 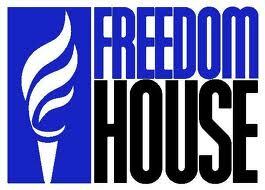 Freedom House has rated media in Fiji to be partly free. Dr. Marc Edge Acting Head of the Journalism Department of the University of the South Pacific said, “Fiji media is right now partly free and dangerously close to not free”. 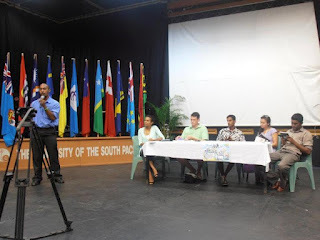 Alex Perrottet, a Masters/Postgraduate Diploma in Communication Studies student at AUT University, said that “students can in fact lead the way in a situation Fiji is currently experiencing”, during the panel discussion organized by students. However opposing these ideas is Mr. Ricardo Morris who is a current journalist here in Fiji. 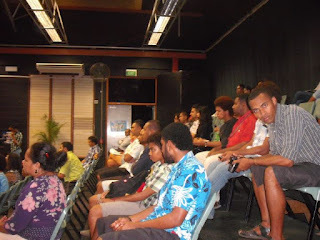 He had mentioned that self-censorship here in Fiji is much more effective than censorship in the newsrooms. Costs and expenses are lessened, time is saved and there is so much effectiveness of other areas when there is self-censorship rather than censorship. According to Mr. Morris, the military has managed to achieve self-censorship over the three years of having censorship in the newsrooms.